A few weeks ago, I received an email from someone at Women’s Health inviting me to join them for a Core Fusion class at Exhale Spa. Umm, twist my arm, will ya? It’s well-known that I love all things health and fitness related, so of course I said yes! 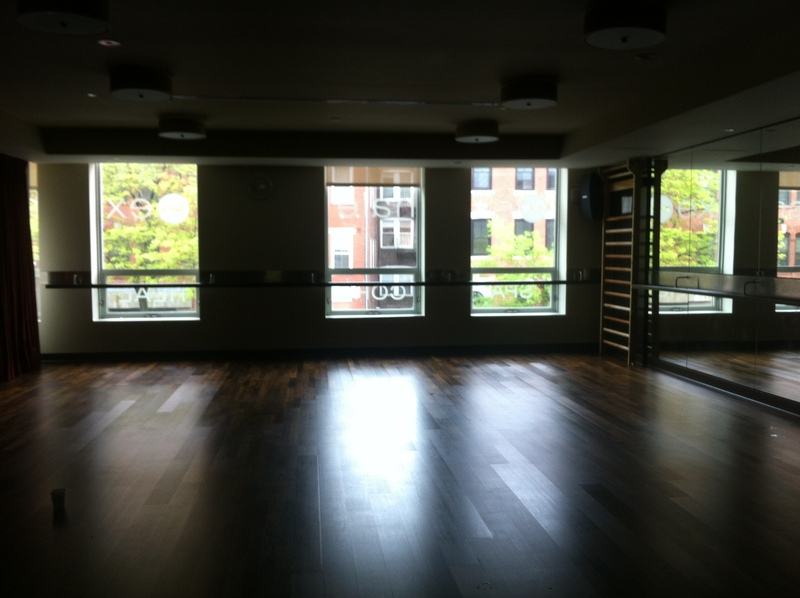 In addition to my love of working out, I love to take new-to-me classes, because they are always humbling. I may be able to Kickbox for an hour no problem, but Core Fusion Cardio for an hour? An entirely different story! 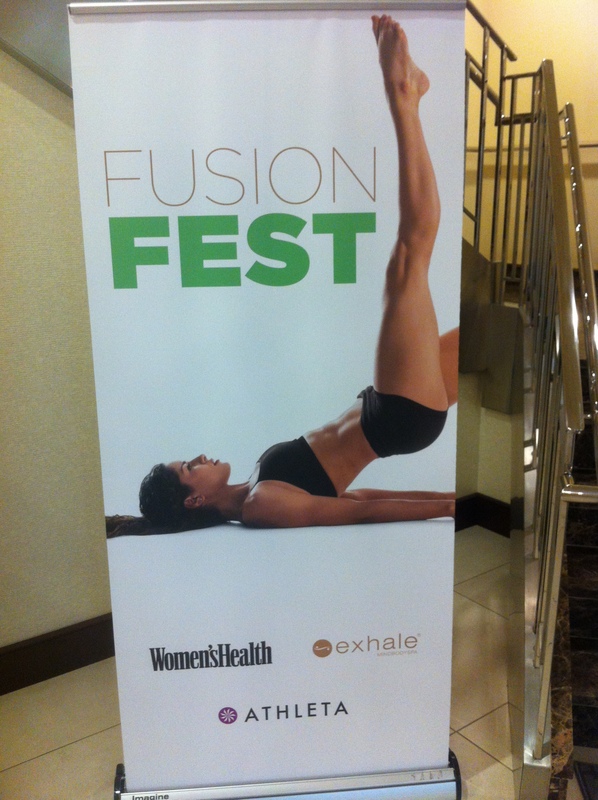 Anyway, May 22nd was “Fusion Fest” at Exhale Spa- how fun?! I signed up for the 7:45am Core Fusion Cardio class with Chrissy Snyder. Sweat it out in this barre-less, fat-blasting cardio class, designed to sculpt and tone your entire body. Consisting of weights, mountain climbers, karate kicks, speed skaters, flowing yoga poses, and an ab sculpting series, this high-intensity class followed by a calming cool finish will leave you feeling energized and strong. Kick your heart rate into high gear with this non-stop, endorphin-filled hour. Open to all levels. Well, I’d say that was a perfect description! I wish my heart rate monitor worked, because I’d love to see that stats on what I burned for calories and what my average heart rate was in the class. It felt HIGH the whole time! Mountain climbers after mountain climbers after mountain climbers, and lots of push-ups squeezed in between and then the legs and weights! My goodness. My legs were absolutely BURNING during the lunge portion of the class. I actually had to take multiple breaks. Chrissy did a wonderful job speaking clearly throughout the class without fumbling her words. She was incredibly encouraging and I really liked how she counted out loud the whole time because personally, I like knowing how much longer I have… it helps me push through the pain! She also remembered my name right away- big plus in my eyes! As an instructor, this is something I am constantly working on because I think it makes people feel really good when you remember their name and refer to them by name throughout the class. We worked through “sets” throughout class. The first set was primarily mountain climbers and push-ups, and from there, we focused on upper body, lower body, kickboxing (umm hello. loved this!! ), more mountain climbers and push-ups and ended with great core work. Mind you, we did cardio throughout the WHOLE class. I have never done so many mountain climbers! My shoulders will be screaming tomorrow. A lot of the poses were yoga moves, too, which felt great. Going into the class, I wasn’t sure what to expect, but I think the class exceeding any expectations I could have had! I loved that the cardio was relatively low-impact… my poor joints need that. By the time we finished our core work, I was more than ready to shower and eat! 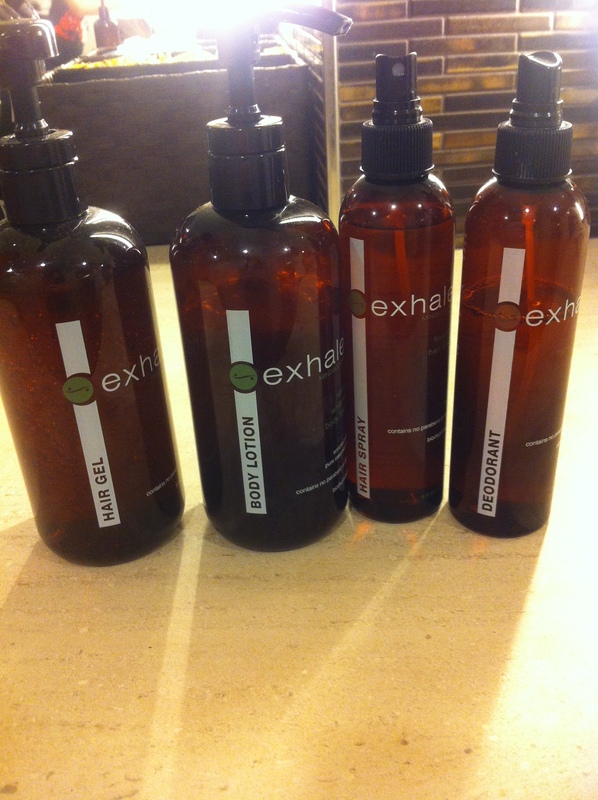 The locker room at Exhale was absolutely beautiful. I loved the products and the fact that they had everything you could ever need: towels, robes, slippers, combs, hair gel, deodorant, lotion, shampoo, conditioner, razors, shower caps, q-tips. Seriously, they didn’t miss a thing! There were coupons in there for future visits, and I can absolutely guarantee I will be going back. I also want to look into the Sports Massage that they offer as I think that would be super beneficial for my sore and overworked muscles! 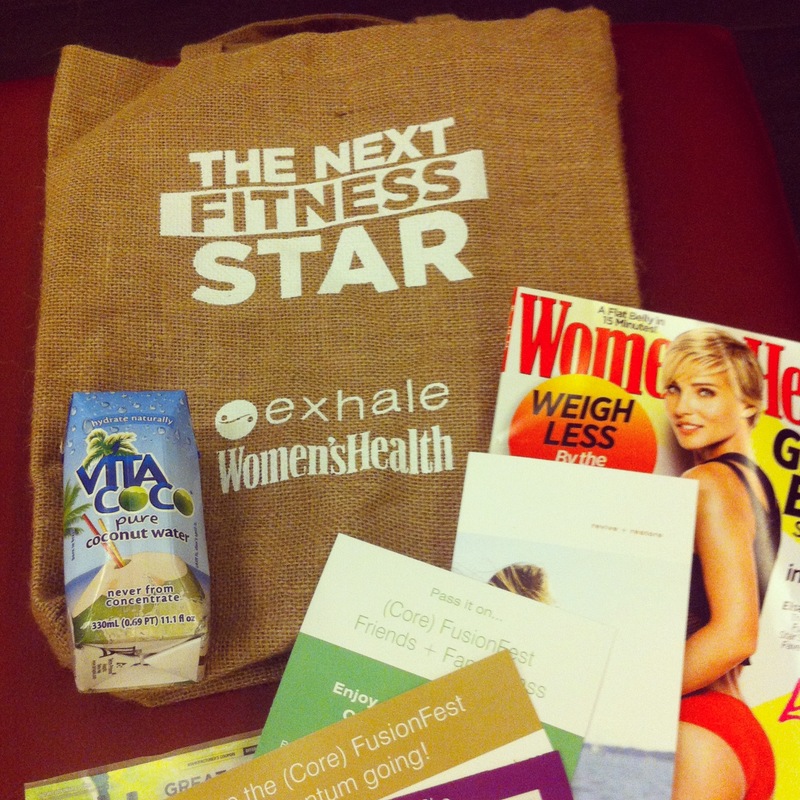 Big, big, BIG thank you to Women’s Health and Exhale Spa for inviting me to such a wonderful event! I received such a warm welcome from Samantha and Chrissy and all of the other employees… Can’t wait to go back! 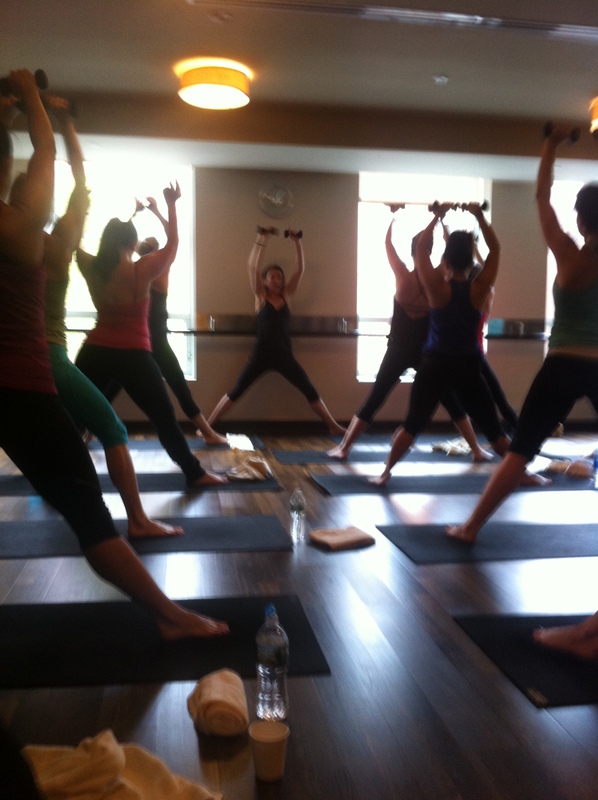 Questions for you: Have you ever done a Core Fusion class? What’s your favorite thing to find in a locker room? Favorite thing about trying a new class? oh, my, what an experience!